Scott Bakula is best known for his role as Sam Beckett in the television series Quantum Leap and for the role of Captain Jonathan Archer in Star Trek: Enterprise. 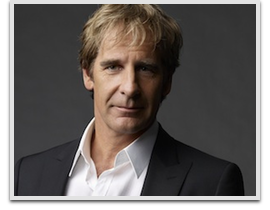 Bakula has also starred in the comedy drama series Men of a Certain Age and guest-starred in seasons two and three of NBC’s Chuck as the title character’s father Stephen Bartowski. He will portray Special Agent Pride in an spin-off pilot episode NCIS.